Ecoescuela El Manzano receives many people for tours and typically has several volunteers who frequently use the bathroom. In addition, they sometimes host large events where over 100 people rely on the facilities. However, on average there are roughly 50 who might use the bano in a single day. With all the use, the result is a lot of liquid, especially from women using the toilet for peeing. Therefore the community uses a urine diversion (UD) system. Each toilet is equip with a bowl that catches and channels the liquid into a pipe that then leads to a separate filter, which was filled in with mulch. When people go poop, they place a scoop of sawdust on the pile – classic dry toilet. The problem is that some of the sawdust was getting in the urine system and clogging it up. While there was some slope in the pipe, it was not enough for the small amount of unpressurized water/urine flow to keep the pipe clear. The result: a warm, nutrient rich environment that is perfect for growing anaerobic and sometime pathogenic (disease causing) bacteria. I discovered this problem and immediately wanted to solve it because this particular ‘bano seco’ is my favorite. Fortunately the family and community in El Manzano trust and supported me and were happy to help. They allocated me a team for a day and gave me the tools I needed to complete the project to fix the toilet. 1. Remove the bacteria-laced mulch to an isolated area where there is a lot of sun and air, which will kill the pathogens. 2. 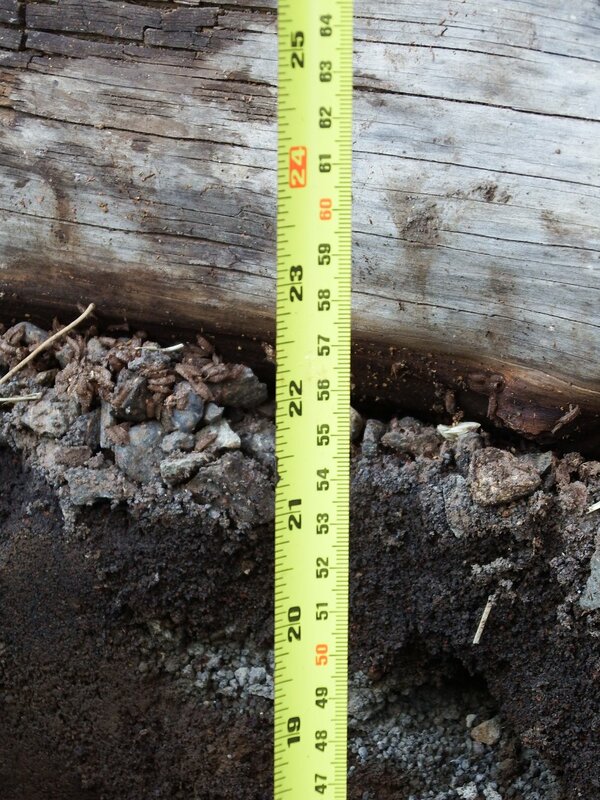 Prepare the site by enlarging and lining the ditch. Jorge adding in the rinse out valve and water line. 3. Add a rinse system for the urine pipe. This is key to being able to clean the pipe, which will reduce smell, concentration, and flies. El Manzano is very fortune when in comes to water in an arid region. The water table is only 8 meters below the surface and provides them with fresh groundwater. 4. 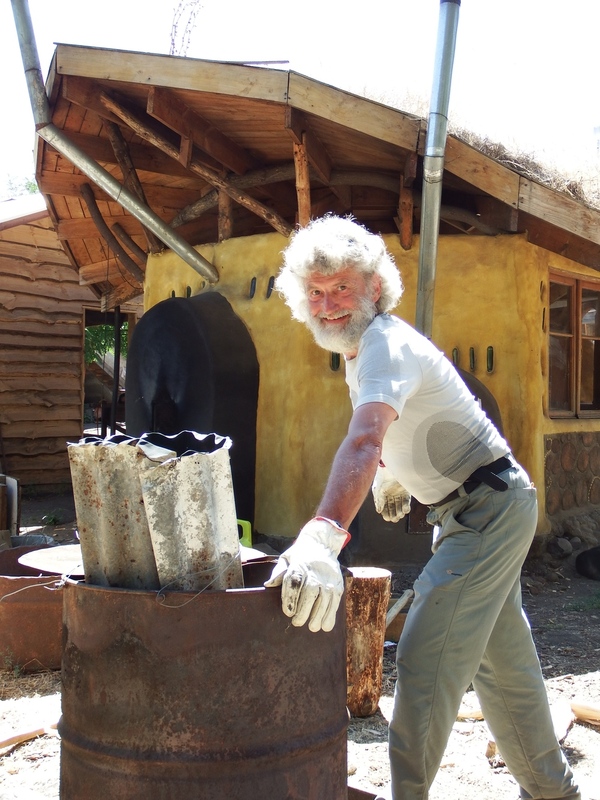 Make Biochar for one of the layers for the biofilter. 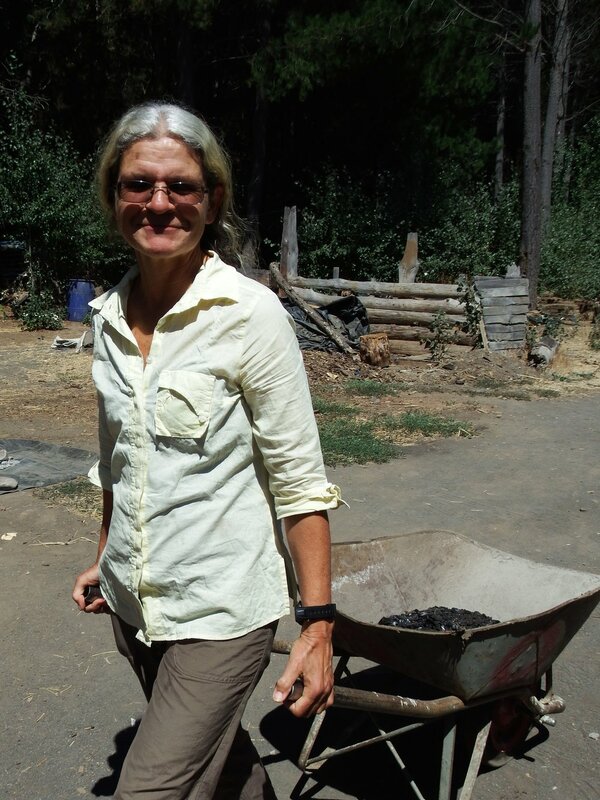 It was a wonderful addition to have two folks who were experienced in making biochar. They took on the task of finding biomass to bun in a low oxygen environment (the 55 gallon metal drum). 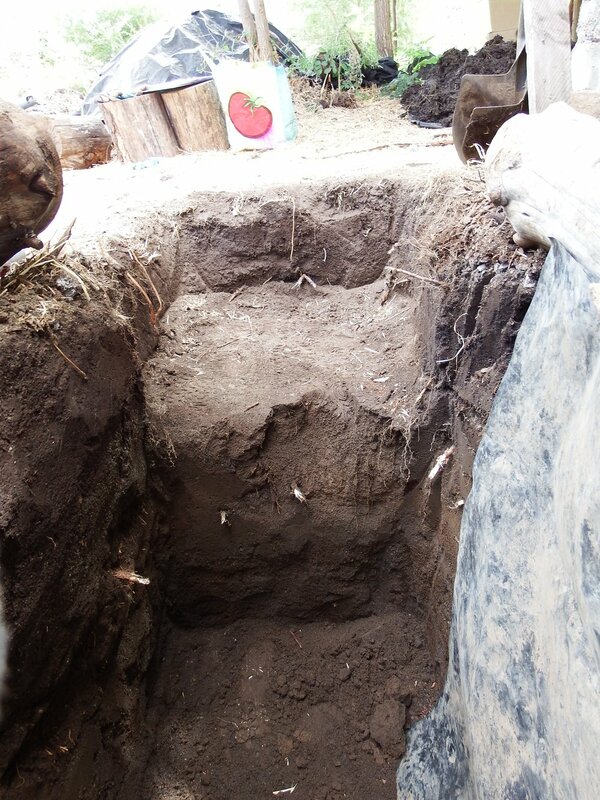 Biochar will increase the productivity of the biofilter by housing millions of micro organisms that will work to break down and process the nutrients from the urine. 5. Add a screen to the Urine Diversion portion of the toilet bowl. This will help prevent sawdust from getting into the urine pipe. Yes, this will also mean that it will likely mean for more regular maintenance of the toilet bowl and bathroom. But this is easier than clogging the piping system. We hope it will also prompt people to not use so much sawdust and to be more mindful. 6. Piping: Clean the old, lay some new, and get the slope just right. 7. 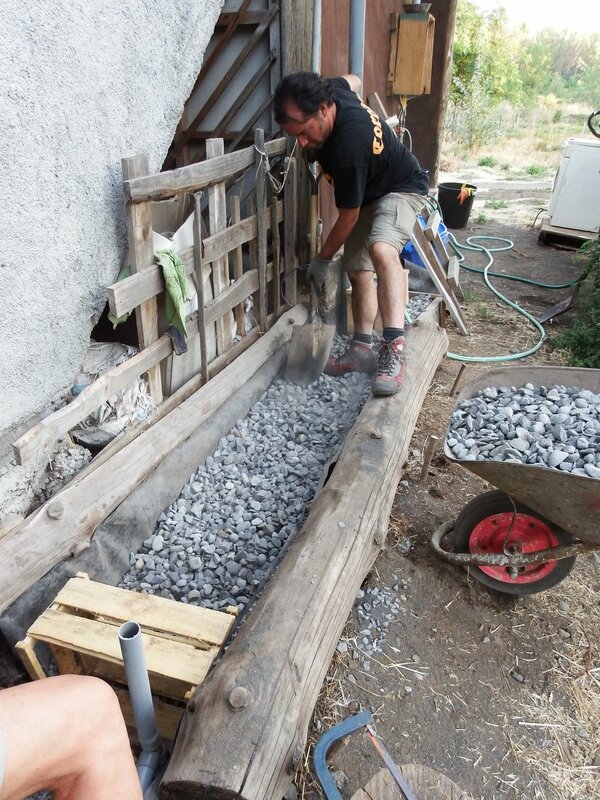 Layer the biofilter with larger stones, gravel, biochar, and more gravel.